Paperblanks were kind enough to get in touch and provide some samples for review, so thank you to them for sending some over! I was not familiar with the brand prior to them contacting me, and when I saw the books, I was definitely impressed. They’re definitely well outside of my minimalistic preferences, and some of their offerings are a bit over the top for me, but the Grolier pattern and the Nocturnelle pattern both looked pretty awesome. This review is of the Mini Reporter notebook in Grolier pattern. Enjoy! The notebooks is definitely well constructed. It’s 192 pages are stitch bound and nicely cut to size. The covers are heavy cardboard, and the designs are embossed into them. 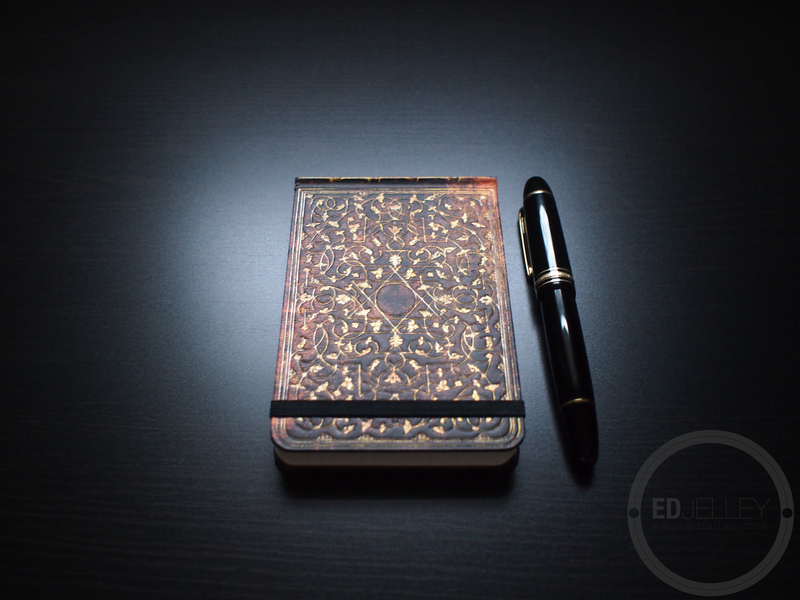 It’s an impressively constructed notebook that is quite the looker. The pattern has some awesome depth to it, and the embossing and metallic inks make it pop. 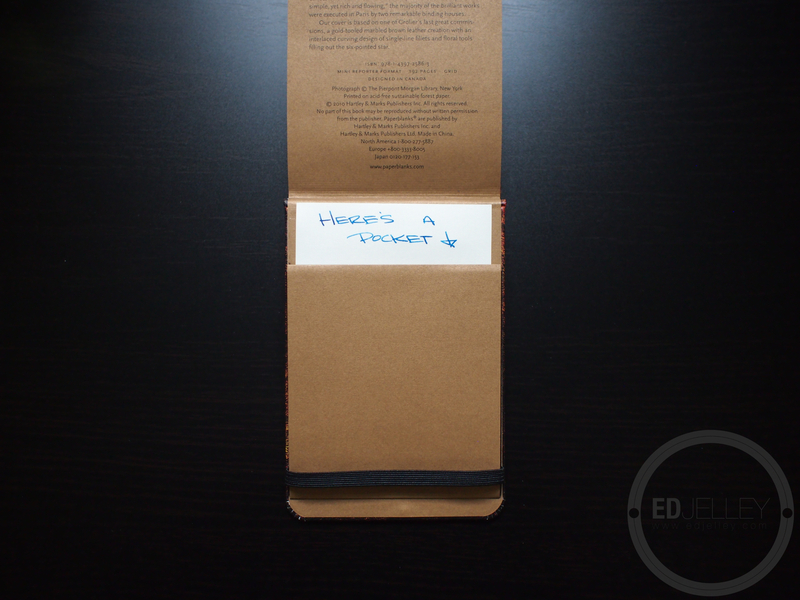 The back of the book has a small pocket that would be handy for keeping receipts or important pages. The Mini Reporter also features an elastic band for keeping the book closed and a ribbon for keeping your spot. 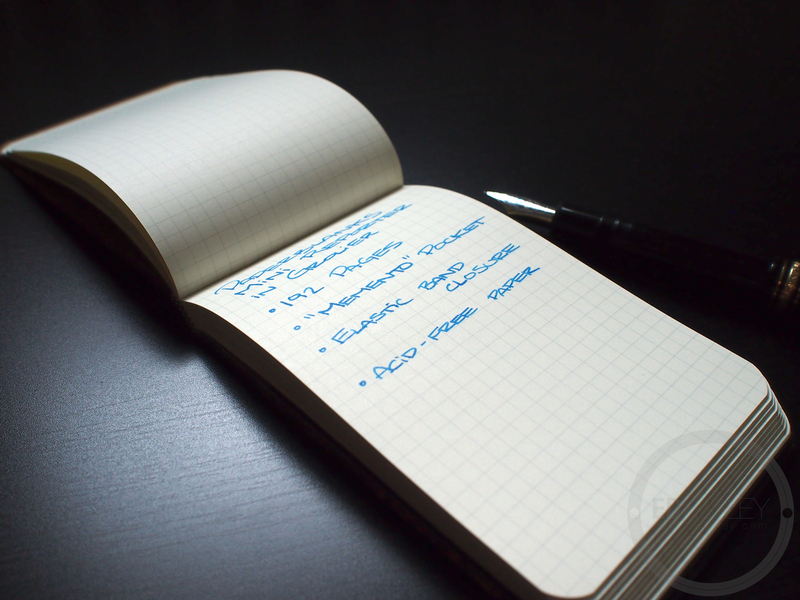 The paper in the Mini Reporter is smooth and performs relatively well with fountain pens. For testing I used a wet Montblanc 149 and some Pilot Iroshizuku Kon-Peki. There’s some slight show through, and a bit of bleed, but it’s not too bad. There’s no feathering, and I suspect it would be better with a finer, drier nib. The Mini Reporter has off-white gridded paper that’s easy on the eyes. I didn’t measure it, but it seems to be about a 5mm grid. 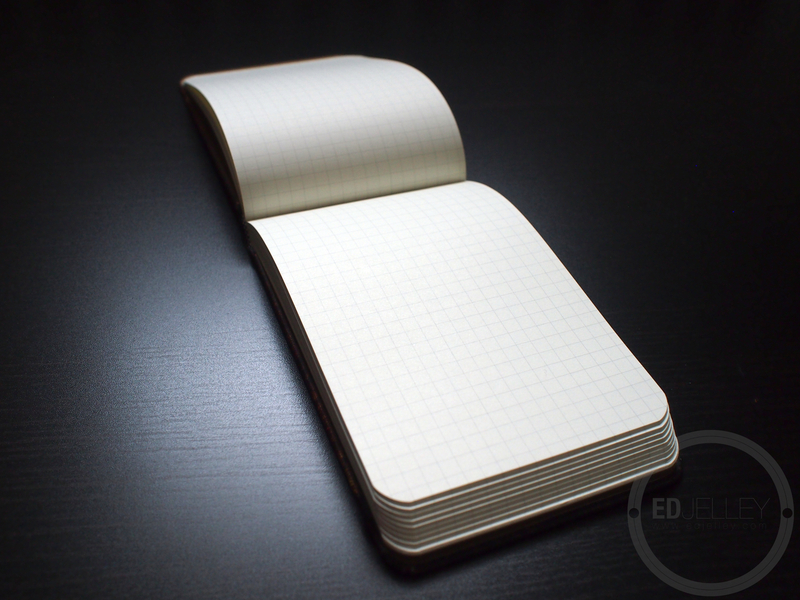 It almost reminds me of the Rhodia Webnotebook paper. The Mini Reporter is a bit too bulky for my needs. It’s too big to be a pocket notebook (for me) so it would have to live in my bag. 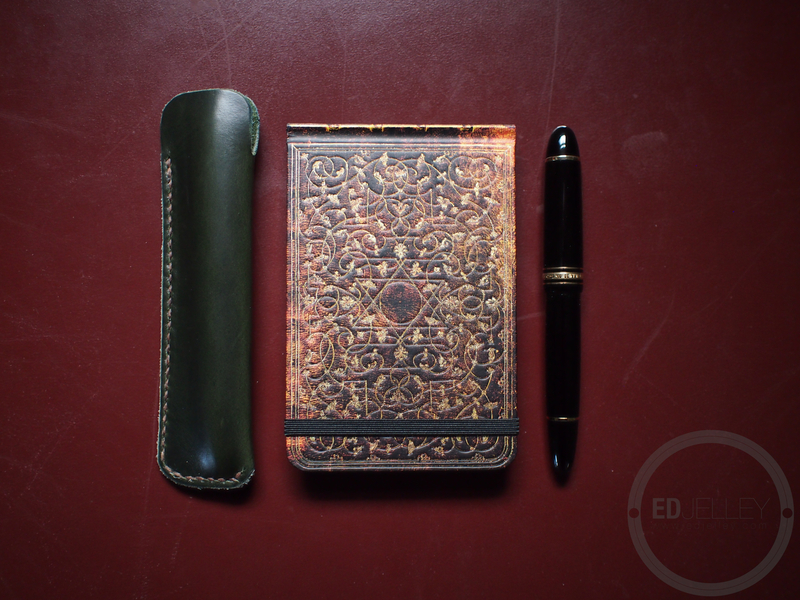 Unfortunately there are other paper products that fit my needs better than the Paperblanks. That’s not to say it’s not an awesome looking notebook that’s constructed with quality. I prefer the more minimalist approach to design, but if you like what you see, you shouldn’t be disappointed. 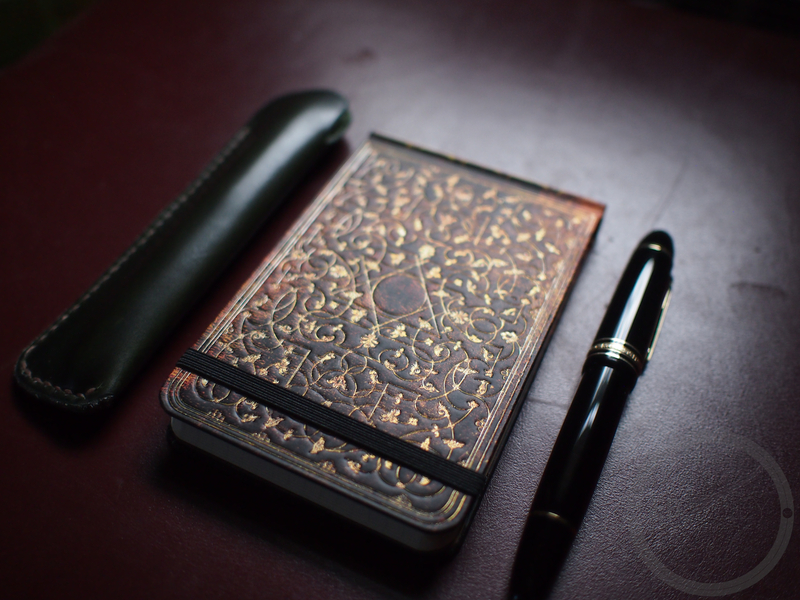 Thanks again to Paperblanks for sending the book over for review! Really good photography, man. Really good. Where do you purchase these notebooks? I see you didn’t write on the back of each page. I have an old paperplanks book and the two sides of each page are different. One side is really good for ink and fountainpen and the other is really bad … bleeding and feathering… it soaks ink like tissues. That’s the reason I never bought a paperblanks again. Oh wow, I’ll have to give that a try. Thanks for pointing that out!